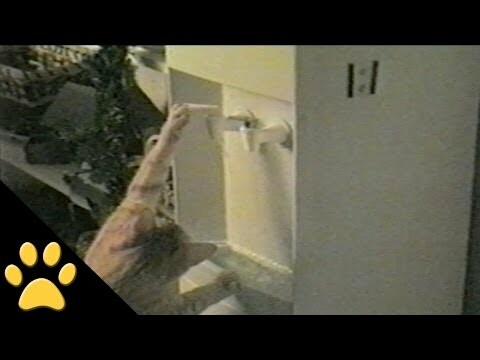 There are 4 cat videos tagged with water. 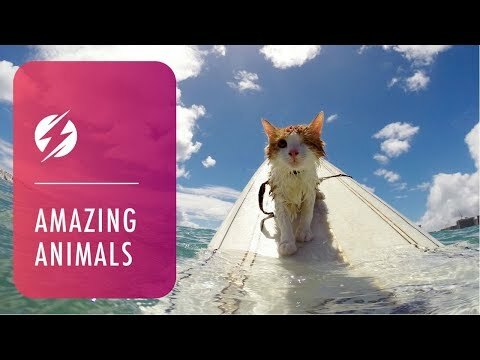 Meet Kuli, the one-eyed surfer cat! It was adopted when it weighed just 1 pound and had to have surgery to have one eye removed. 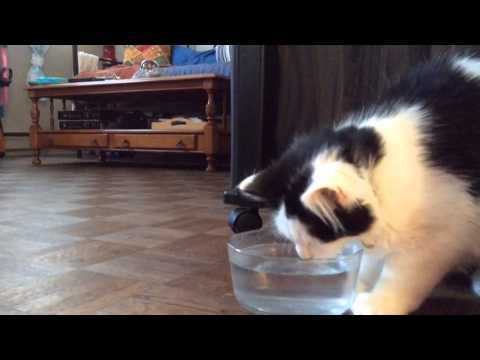 Bathing while recovering from surgery was how the awesome cat got used to water. This is one smart cat! He knows how to work a water cooler to get a nice drink of water... and waste a little bit too. He entertains himself for a while but eventually stops once he realizes he's being watched.